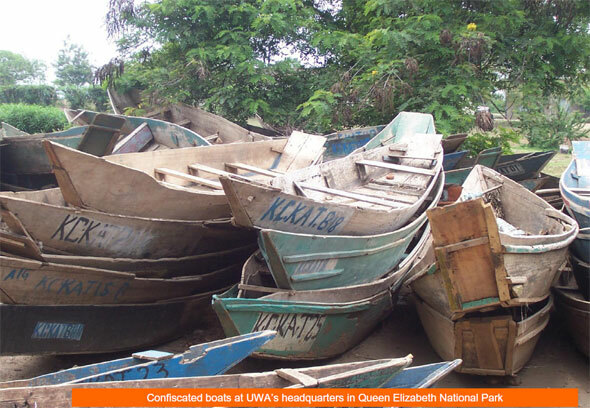 Until three years ago UWA had very limited capability to travel on water in Queen Elizabeth National Park, leaving the regions exposed to all forms of illegal activities. With your support, UCF has since built four Marine Ranger Posts,provided power boats and engines and trained more than 30 rangers in boathandling and operations. 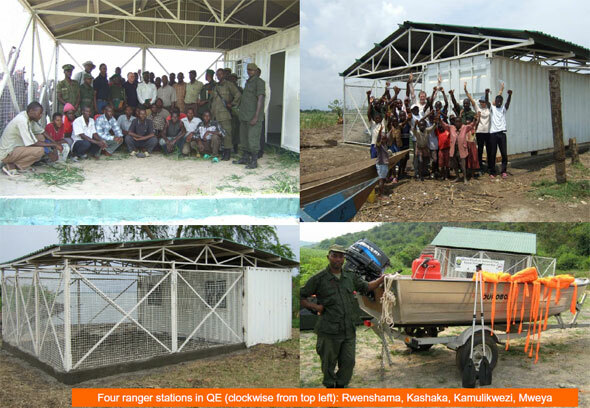 The installation of the Kamulikwezi Ranger Marine station to supplement the Kashaka one on Lake George, and the use of boats throughout the area is already having a significant impact on the ability of law enforcement to reverse elephant and hippopotamus poaching problems. The construction and equipping of the four marine stations across QE is only one step in a comprehensive programme for the recovery of the Dura sector. We will now be focusing on their successful operation, enabling them to coordinate with land based patrols and with each other. The Waterways project will also offer invaluable support to the Dura Recovery Project. 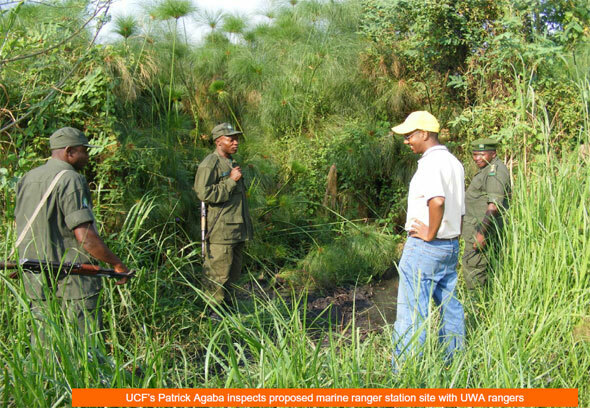 UCF officials visited the Protected Area in March 2009 purposelyto agree with UWA officials on a suitable location for the station. Together with UWA’s Head of Law Enforcement in QEPA, we visited the area, selectedthe appropriate location, and presented our findings to senior UWA officials and approval was made. 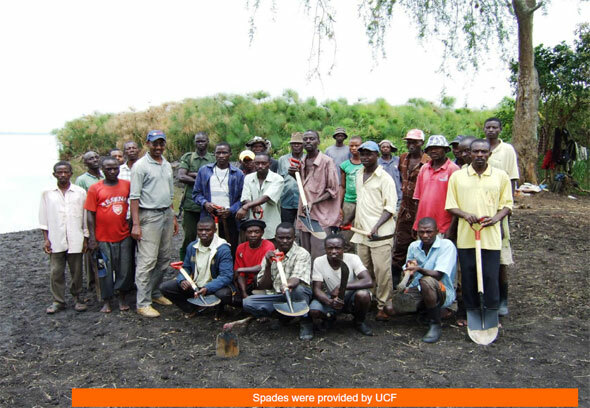 Through UWA’s Community Conservation Wardens, UCF employed and supervised a team of 25 local ex-poachers to clear (by hand) an area of 100m2 of Papyrus adjacent to the lake. The local community were delighted to be offered the work (indeed they are still phoning UCF to try and secure additional work). The site clearance work has been especially helpful in building the relationship with UWA and sensitising the community: in the last week a large number of poachers in the Dura (Kasese) area have voluntarily handed their weapons to UWA and renounced poaching! 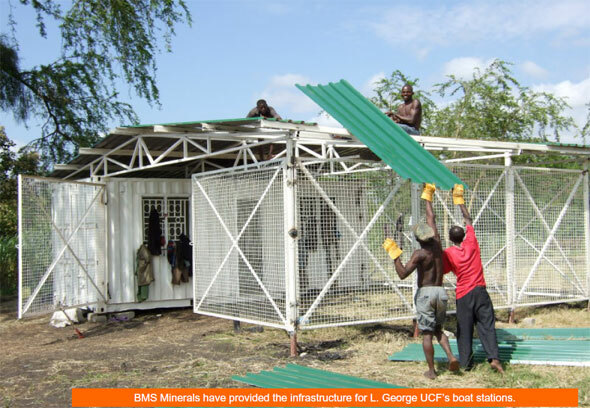 Our partner BMS minerals has supplied, transported and installed a 20ft shipping container which has been converted into a structure to house the boat, an office for the station marine rangers and a store for the boat engine, lubricants and life saving equipment. An order has been placed with Work Boats Uganda Limited, suppliers of the aluminum boat (as seen on www.duroboat.com) However, owing to the global recession supply of the boat has been delayed and we are considering alternative options. A Duroboatis the preferred option since it has proved to be extremely resilient on our other projects and is UWA’preferred option too. A 25hp Yamaha boat engine has been secured. UWA has agreed to deploy two trained marine rangers who shall manage the station operations. To provide safety and rescue service for tourism, fishermen and other users. To date, more than thirty UWA rangers have been trained in watersafety and rescue service in QEPA. To do this, UCF brought on board a Coxswains course based on theUK Royal Yachting Association (RYA) Powerboat Level II course that was conducted by Poole HarbourSea Survival (PHSS). This was specifically to provide UWA rangers with training in boat handling, maintenance and rescue techniques. 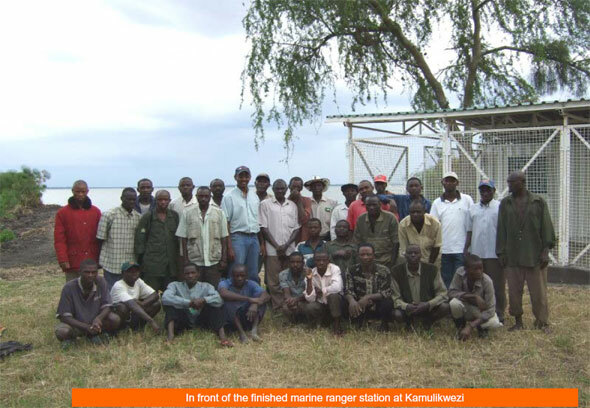 In 2008, a group of twenty-four rangers were trained by PHSS at Mweya on the waters of Kazinga Channel and Lake Edward. 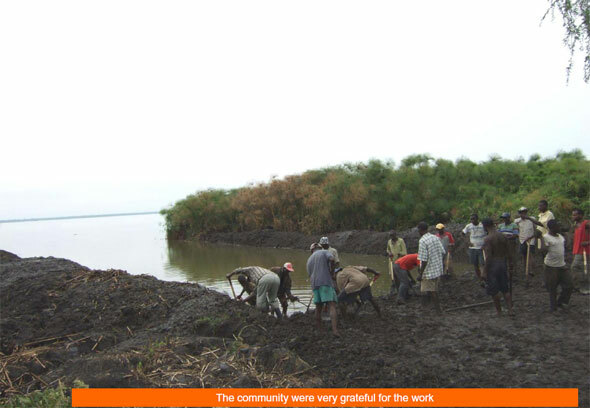 This group has been distributed to different protected areas with water bodies. Six out of twenty-four rangers were chosen to complete a marine power boat instructor course, with the aim of enhancing the operational capability andeffectiveness of the Marine Rangers and UWA as a whole. 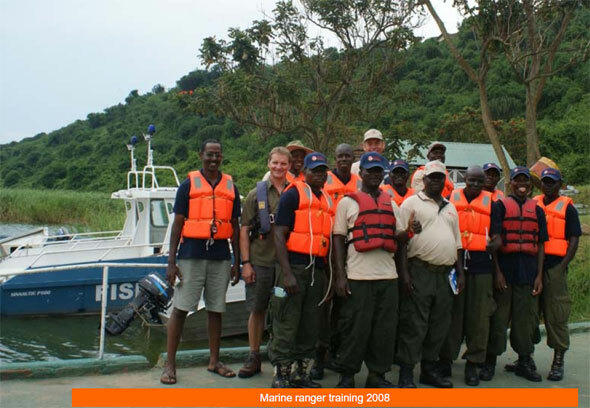 Arrangements for refresher courses for marine rangers are part of our programme to increase their knowledge base and improve operational effectiveness. The new Marine Station will enable rangers to patrol Lake Georgemore effectively and to provide a community conservation and tourism safety element that is crucial for the tourism sector in Uganda. Fishing villages of Hamukungu, Kahenderoand Kasenyithat are prone to accidents on water with fishing boats and boats ferrying locals will be covered by this station. The new Marine Station focuses on providing water transport for the rangers to access the currently inaccessible shorelines of the lake and the Dura region. The new boat station will make an immediate impact on managementof the region by obtaining information necessary to develop a Dura elephant management and recovery plan. The area has many poachers who move freely with dried game meat, unchallenged. This particular Marine Station will give access to the Dura sector that lies north of Lake George with no access route. This will greatly improve the effectiveness of the rangers in pressuring illegal activities on the Lake and its shorelines. With the fluctuation of fuel prices, the provision of the MarineStation helps reduce UWA’s already limited land vehicle operational costs. To train a marine ranger unit towards law enforcement along the waterways and for patrol deployment. Rangers are already being deployed by boat to patrol large distances along the shoreline silently and without detection to curb the poaching, bush meat trafficking and illegal fishing in Lake George. By hampering this, the bush meat traffickers will be forced to return to road and ‘land’access where their passage is much more hazardous. Controlling the waterways is critical to QEPA’selephant management and in terms of countering bushmeat and ivory trafficking from the DR Congo. Dura is both fiercely poached andinaccessible. UCF, through the Elephant Management and Recovery plan, will identify the threats to the elephants and develop community conservation plans, park –community partnerships and monitoring systems for the region. The preferred site for the station has already been agreed following two site visits between UWA and UCF. The third and last visit tothe proposed site occurred last week where a local construction company was invited to share ideas, expertise and experience in planning and construction. The three parties agreed that the site should be built 200m from the marine station on raised ground (in order to avoid the unit being flooded during heavy rains). UWA’s Community Conservation Wardens have requested that the construction company employ ex-poachers as labourers on the construction project. It was also agreed with UWA that four rangers will be permanently based at this station. Access to Kasese road by vehicle, into Dura by foot or motorbikeand close access to the Lake Shore. The Marine Station is of robust but simple construction and little maintenance will be required. The boat requires specialist operating and maintenance knowledgeand this will be covered in the training package. A Duroboatis virtually indestructible. In addition to the existing dedicated park rangers, UWA has committed to allocating two trained marine rangers to run this facility and will provide running costs.UWA trained marine rangers will be responsible for boat and engine maintenance standards. 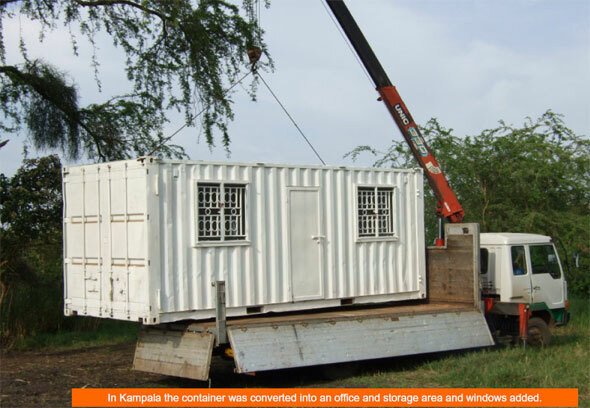 UCF, through its Ugandan operational company UCU, will inspect the facility periodically to verify its performance and advise where necessary. UWA’s visible presence reduces shoreline bushmeat smoking, waterborne bushmeat smuggling and wildlife and ivory trafficking. Law enforcement: increased presence of UWA. Fear of arrest / forced labour. Peer pressure / fear of being reported: many of the poachers arrested are now collaborating with UWA. There is a fear that the names of those who carry on poaching will be given to UWA by ex-poachers. Sensitisation: active dialogue between UWA’s Community Conservation Wardens and the local community (supported by UCF). Income and revenue-sharing opportunities: those who renounce poaching have the opportunities of paid labour (e..g. site clearance). Communities neighbouring Queen Elizabeth National Park have access to 20% ofPark entrance fees. UWA educates the community on how these funds canbe invested to develop small businesses and generate income. On receiving reports of a dead hippo and a dead elephant in Kasenyi, the Chief UWA Vet was called from Kampala. UCF’s Kashaka boat was used to recover the carcasses for post-mortems to be carried out to ascertain if there was a possible outbreak of Anthrax. Thanks to the Kashaka boat, the first hippo ‘check up’was carried out across QE since the 1960s. This was carried out by UWA’s Research & Monitoring Warden in 2007. 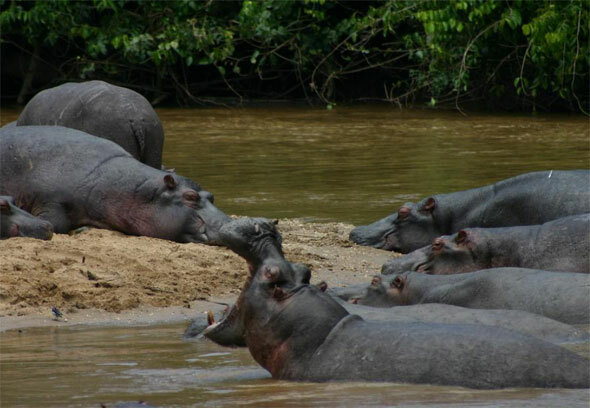 UCF will be carrying out a full hippo, crocodile and otter census with UWA in Feb 2010. In two separate incidents, boys have been killledrecently by wild animals while collecting drinking water from Lake George. In both cases,UWA –with the support of UCF-funded equipment and training –was able to help recover the bodies, allowing the families to grieve properly. 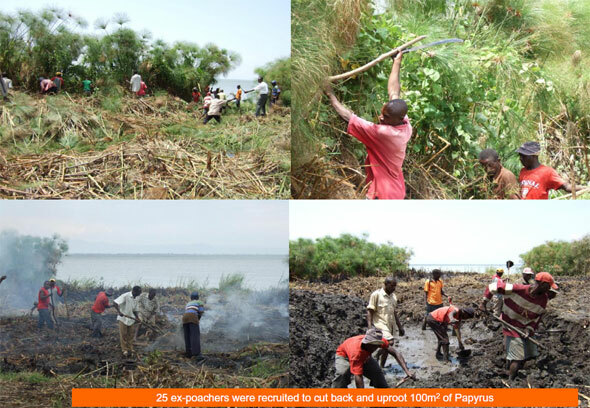 At Kamulikwezi, during the three week period when the ex-poachers cut back the Papyrus and Hippo Grass, UWA and UCF had a captive audience for their law enforcement and conservation messages. 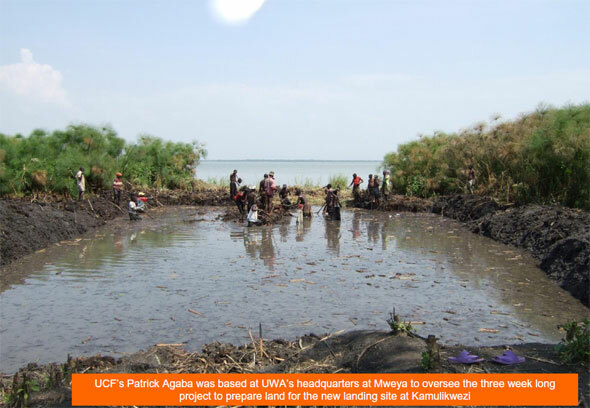 It was madevery clear to everyone working on the site clearance, and therefore to their families and the wider community, that UWA is substantially ramping up its law enforcement operations in the area; and that UCF has a comprehensive programme for recovery of the Dura area. 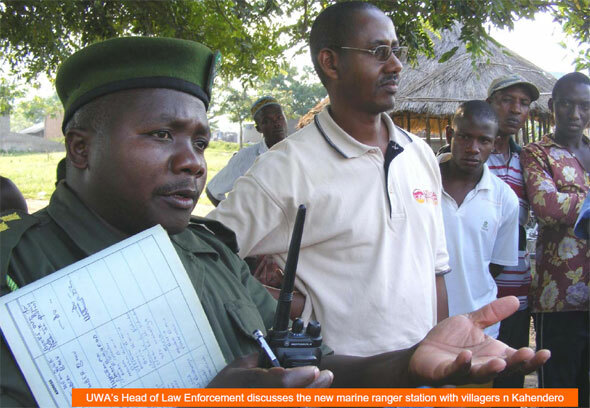 Provide ranger presence around the Muhokyacorridor to remove illegal activities and encourage elephants to use the corridor to repopulate the Dura Sector. The availability of the area north of Lake George is vital not only for elephant as “QEPA-Kibale National Park (KNP) Corridor”conservation, but also to allow the ‘architects of the habitat’to control the habitat for all species in the Dura area. This area is in dire need of greater protection and improved access so the elephants will once again use the 400km2area. Pre-Kamulikwezi, UCF has provided Mercury boat engines to the Waterways project. However reports from UWA marine rangers who operate these engines, inform us that after three years the engines are needing to be replaced. We aim to maximise the life of these engines wherever possible. Recently two of the engines were serviced by the company where they were purchased from. Larger boats are needed as the current 16ft boats, although successful, can only transport five people which greatly limits their capacity in patrolling. The 16ft boats are ideal for localised operations. Our focus is now ensuring operations on land and on water are coordinated requiring larger distances to be travelled across the marine ranger stations in Lakes George and Edward. UCF and UWA have agreed to source two 22ft boats. To clear the region of illegal activity. The removal of snares, poacher camps, smuggling routes and illegal boats will have an immediate impact on the safety of the area for elephants, and in central QECA from where much bushmeat is being trafficked. To increase UWA’s capacity to help recover Dura. Having a permanent base and link to two existing Marine Stationsextending from the South to the North of Lake George will drastically increase the frequency and area coverage of patrols in the area. Safe migration of animals to utilise the full 4000 km2 area, reducing the likelihood of crop raiding in local villages during periods of food scarcity. In real terms, the park will increase in size, making it the biggest inclusive area for elephant conservation in south western Uganda. Release of pressure on the central QEPA habitats and Kibale Forest where elephant numbers are increasing. Local employment (casual labour during construction, additional opportunities to support tourism); local procurement (of construction materials for example). Integration of the Dura sector for the very first time in over forty years into UWA’s strategic management plan. UCF strives to ensure that projects are administered efficientlyand professionally. UCF projects benefit from the administration and security of funds carried out by the UCU core team, office and legal and financialset up. All accounts are fully audited each year. Our audited accounts for the 2008 financial year are available on request.